In an article for Fast Company, NEXTpittsburgh Biz + Tech Editor Deb Smit presents a new product line coming out from 4moms, the Pittsburgh company making life a bit easier for new mothers– and now, a bit more robotically engineered. She answers the inevitable question: What can robotics do for babies that the real moms can’t? “4moms products involve both mechatronics–that react to their users–and robotics, that take actions on their own. Introducing this electronic gadgetry to the baby crowd involves changing the perception that parents–some less tech inclined–have of robotic products,” says Smit. The new line, along with the Origami, includes a car seat that installs itself and autonomously checks its surroundings for safety, as well as a seat that mimics the natural movements of a real-live parent. 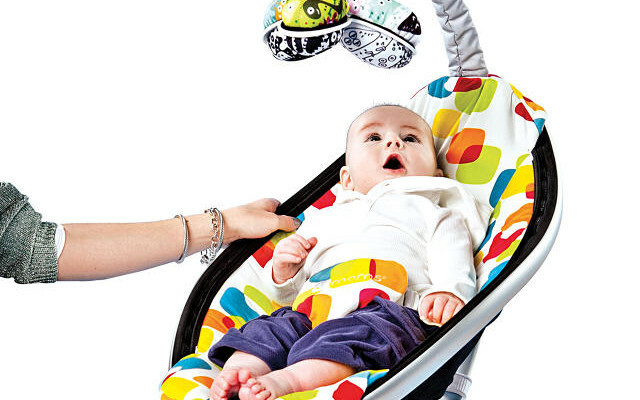 “The mamaRoo was designed by placing accelerometers on moms to measure their sway. It comes in five motions, including a car-ride mode, and has built-in nature sounds,” says Smit. Of course, these conveniences don’t come cheap. Much of the publicity that 4moms products have received is due to the people seen touting them– celebrity parents such as Natalie Portman, Dax Shepard and the Kardashians. 4moms investors, however, are circling the idea of cheaper, more accessible robotics. Even with high prices, 4moms sales have doubled in each of the last four years. $30 million in sales in 2013? How have we been raising babies without robotics?